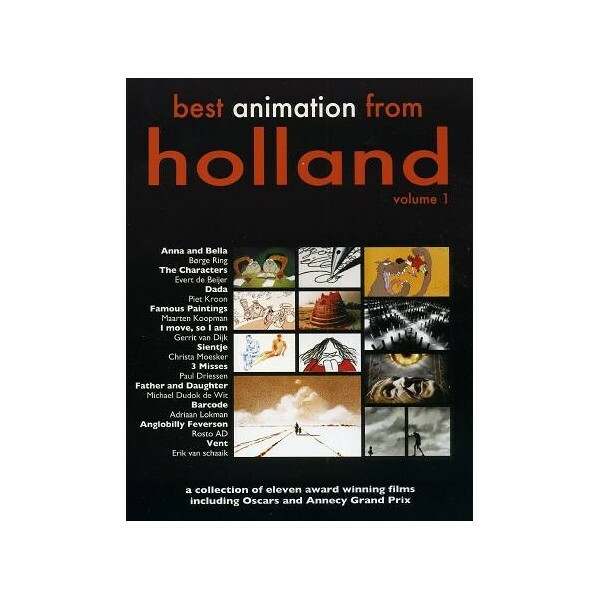 Throughout the world animated shorts from the Netherlands are recognized for their excellence. 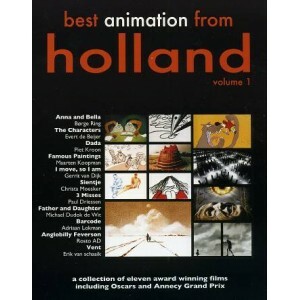 The eleven remarkable and much awarded films on this DVD prove the rightness of this reputation. These films are unique and remarkable products noted for their high quality, clever ingenuity and daring approach to subject matter. The graphic design reflects the centuries old and high-standing Dutch graphic arts. During an emotional evening, two elderly sisters are recalling old times. Both sweet and sour. George and Belle have to cope with letters that have come to life. A newborn child is unable to balance any books on his head like everyone else. Eleven films in wich famous paintings are brought to life. Dynamic self-portrait of the artist with references to his personal and his political life. A little girl gets very angry because her mother does not let her watch television. Three famous damsels are in distress. Some unlikely heroes run to save them. A woman keeps returning to the place where she bade her father farewell. Traveling over an abstract virtual world the spectator is taken in play of light and shade. Anglobilly wants to reach a hole in the sky. The journey is exhausting and dangerous. Humorous film about a man struggling against the wind.